How many world capitals have two petite islands in the middle of the city? The settlement that began on one of them predates all of the Paris arrondissements, in fact predates the city itself. 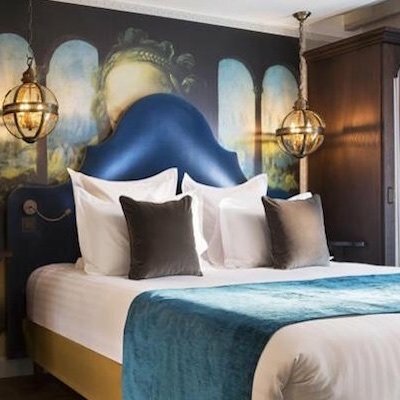 As you cross the Seine towards Ile de la Cite, the ancient heart of Paris, you will journey back through the centuries to the origins of the city. 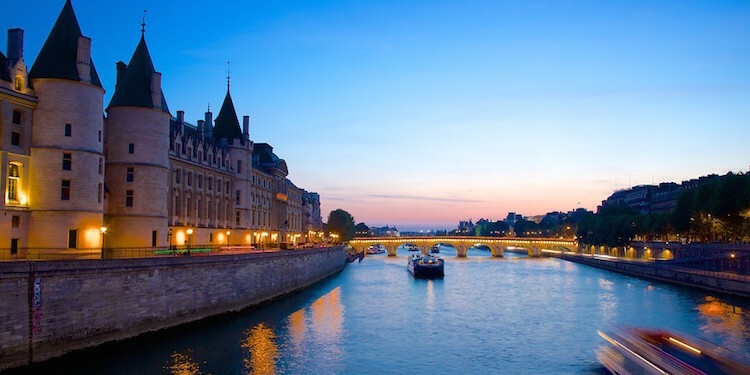 Settled 2,000 years ago by a tribe of fishermen, the Parisii, Ile de la Cite, is now home to both spiritual and temporal powers — the Palais de Justice shares the island with one of the most prestigious religious monuments in the world, Notre Dame Cathedral. Ile Saint-Louis is not nearly as old as its sister island, having only been created in the 17th century. 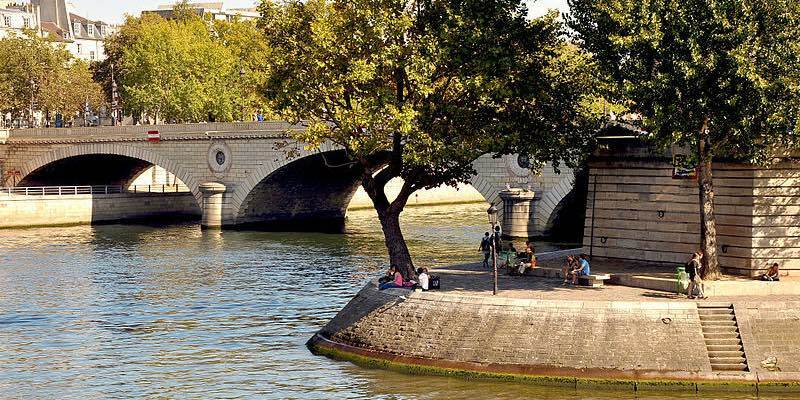 The two islands link the Right Bank of Paris to the Left Bank by a number bridges — Pont Neuf is the oldest and probably the most famous. 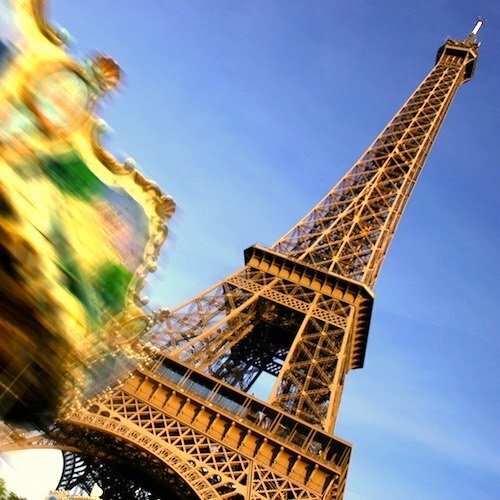 And that's where we'll start our journey into the secrets, history, and facts about the islands of Paris. This romantic postage-stamp of a park starts at Pont Neuf, built in 1607, the oldest bridge in Paris. Paradoxically, the oldest bridge in the city is named, in French, "New Bridge". Overlooking the bridge and the park is an equestrian statue of Henri IV (1553 to 1610), rising above the Square du Vert-Galant on the western tip of Ile de la Cite. Built in tribute to the king and his many mistresses, in 2007 the Square was designated an Espace Vert Écologique (green space). It's filled with an impressive array of trees, plantings and benches. 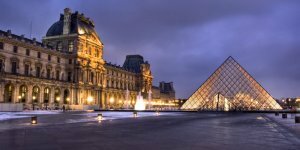 No wonder it's a popular location for a romantic walk with views of the Seine, the Musée du Louvre and Hotel de la Monnaie. 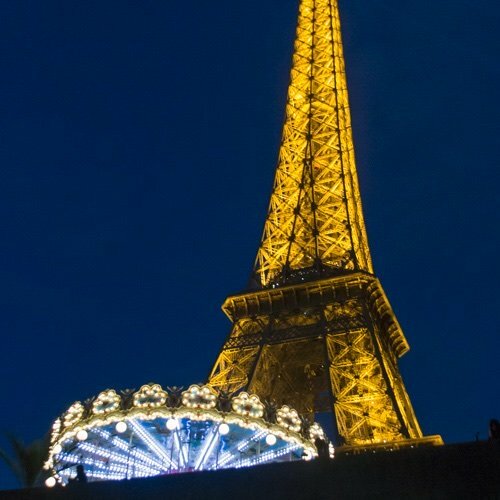 You're smack dab in the middle of Paris with some of the best views of the city! Relax in the shade of the trees, admire the statue of Henri IV, and think about his 50+ mistresses. By the way, Henri's nickname was Vert Galant — the Gay Spark (in the older sense of the word). Also off Pont Neuf, but in the other direction from Square du Vert-Galant, is our favorite oasis of tranquility, right in the center of Paris. As you enter Place Dauphine from the bridge, notice the two houses that flank the entrance to the place. They date back to Louis XIII (1601 to 1643). 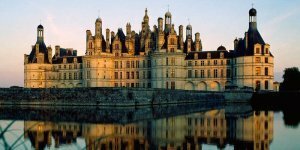 The place was, in fact, built for Louis by his father Henry IV in 1609, when Louis was the Dauphin, or the heir to the throne. Over the centuries the name of the place was somehow feminized to Dauphine. The place famously featured a grove of mature chestnut trees, once part of the royal orchard. But in 2009 they were attacked by a parasite and had to be removed and replanted. 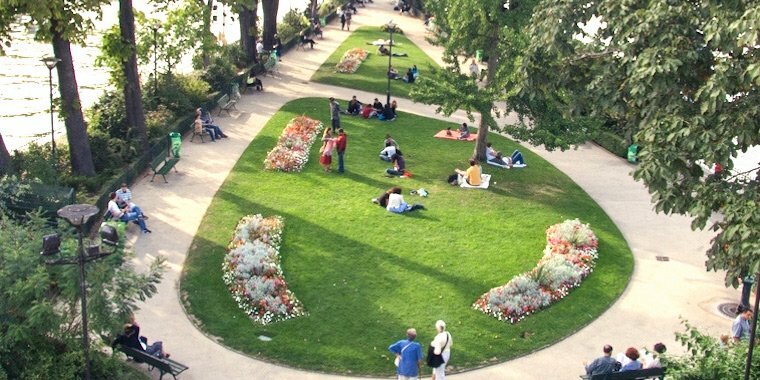 This little piece of Paris heaven is a virtual car-free zone. 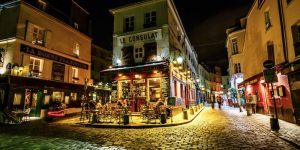 Come for a glimpse of Parisian life — watch a game of petanque and have a glass of wine at one of the charming wine bars or cafes. 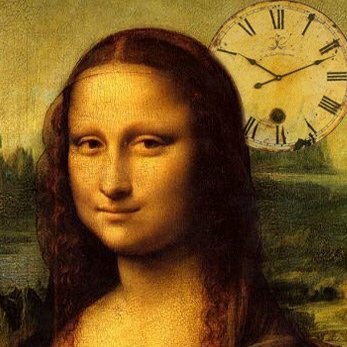 Now let's continue our walk on Ile de la Cite, heading further away from Pont Neuf by continuing on Quai de L'Horloge, along the walls of the Gothic Palais de Justice, to where the kings of France lived until the 14th century. La Conciergerie, although it was the first true royal palace, is today filled with souvenirs of the French Revolution. Perhaps that's no surprise, though, since this is where the parties involved in that national conflict were imprisoned before being beheaded during la terreur. Ouch! At La Conciergerie see the actual prison cell where Marie-Antoinette spent her last days before losing her head over in Place de la Concorde. It's a bit creepy, but there's also plenty of beautiful gothic architecture to admire. Okay, we admit it. This one's not such a secret, although it is sort of hidden inside the Palais de Justice/Conciergerie complex on Ile de la Cite. 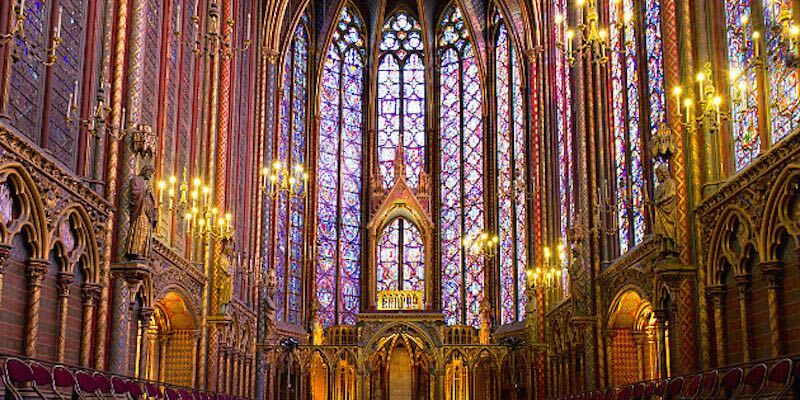 But it may come as a surprise to learn that La Sainte-Chapelle underwent a serious seven-year-long renovation, ending in 2015, that restored the stained glass, piece-by-piece using high-tech lasers. 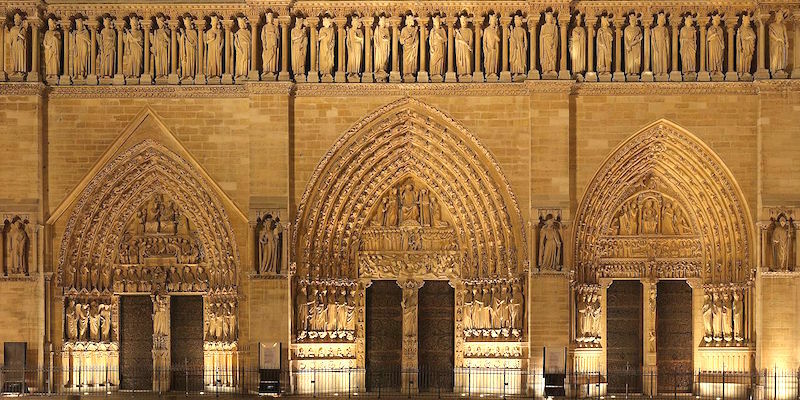 The jewel of Gothic art and architecture — a miracle of balance — was built by old king Saint Louis in 1246 in order to shelter his favorite relic, the Crown of Thorns. Built in just seven years, La Sainte-Chapelle is a spectacular example of the Rayonnant style of Gothic architecture. There you will see 6,458 square feet of stained glass windows in glorious deep shades of red and blue. 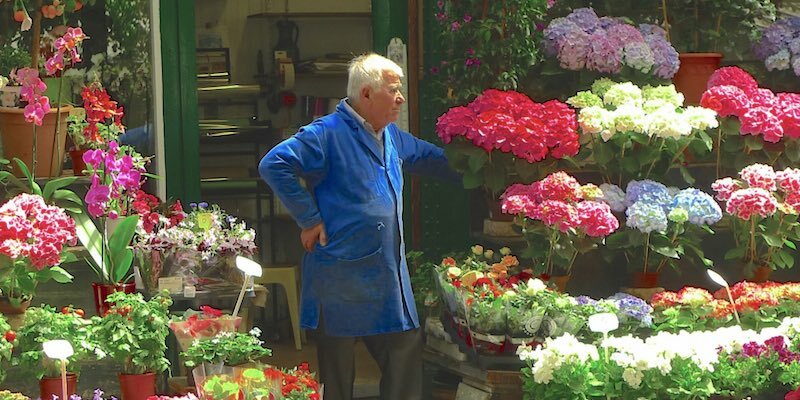 Just across the street from La Sainte-Chapelle on Ile de la Cite, at Place Louis Lépine (by the Cité Metro entrance) is a lively flower market that has been attracting locals and tourists since the early 1800s. The marché is housed in cast-iron Art Nouveau pavilions built in 1900. The open-air displays are vast — seasonal flowers, exotic flowers, orchids, plants, and potted shrubs. On Sundays there is Le Marché aux Oiseaux, where you can shop for live, pet birds. Stroll through the flower market before or after your visit to Notre Dame. While you're there, admire one of the last original Hector Guimard Art Nouveau Metro signs at Cité station. By the way, the Marché aux Fleurs added "Reine Elizabeth II" to its name after her visit in 2014 to commemorate the 70th anniversary of D-Day. As you continue walking towards Notre Dame you come upon perhaps the best-kept secret of Ile de la Cité — not above ground but buried beneath. 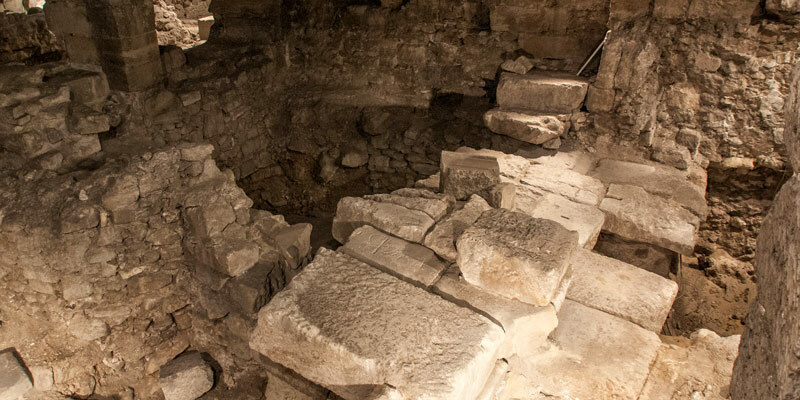 In front of the cathedral, at the far edge of the plaza, is the Crypte Archéologique, the Archeological Crypt, one of the most important ancient sites in Paris to be uncovered in recent times. 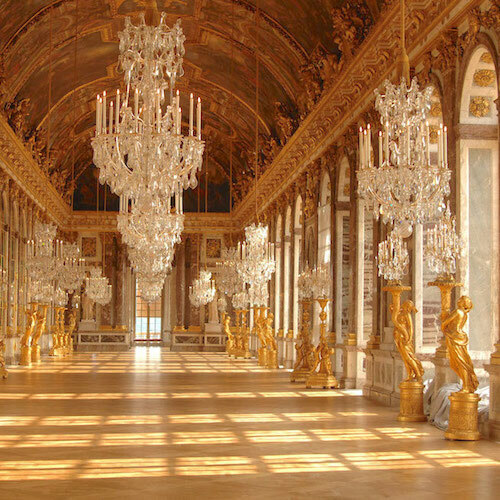 Travel back in time to discover ancient ruins from Gallo-Roman Paris and from mediaeval times. You'll walk away with a better understanding of how Paris has been in a continuous state of reconstruction for over 2,000 years. 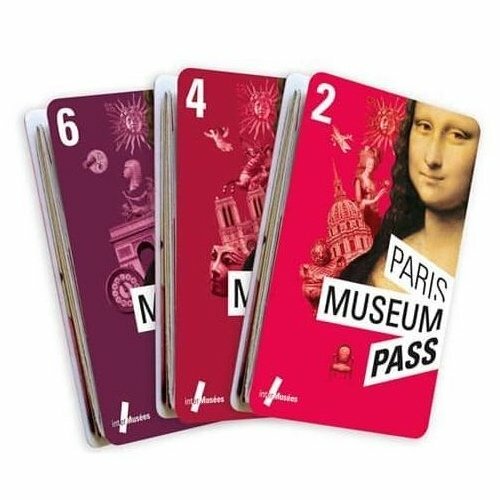 Like most museums and other sites, entrance to the Archeological Crypt is free with the Paris Insiders Pass. As you walking toward Notre Dame you can't miss its two blocky towers. But, before you rush into the cathedral, study the the sculptures of the saints in bas-relief adorning the front. The one holding his own head is Saint Denis, the first bishop of Paris who lived almost 2,000 years ago. Legend has it that when he was decapitated by the Romans he picked up his own head and walked to a cathedral on Montmartre. Some say it's how Montmartre got its name — as the mount of martyrs. 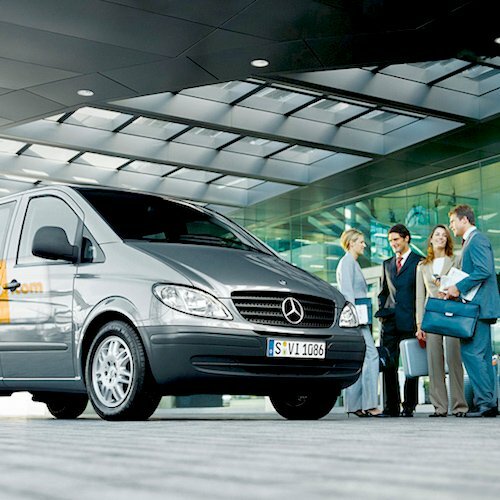 For us, there's nothing better that avoiding standing in line. that's why we like this activity that lets us skip the line and climb to the top of the bell towers of Notre Dame. It's all part of a half-day walking tour of the islands. You'll learn the fascinating 2,000 years of history of the island along with insider stories about Notre Dame. 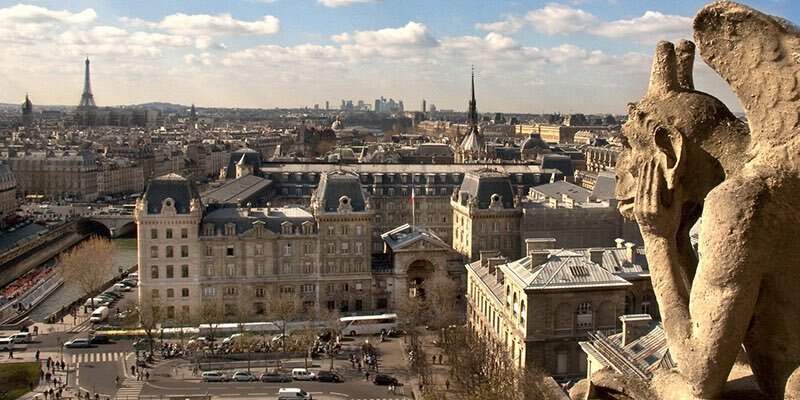 The reward is a breathtaking view of the oldest part of Paris. Next to Notre Dame is this stark reminder of recent Paris past. A memorial is dedicated to the 200,000 French Jews and others who were deported from France to Nazi concentration camps — with the participation of Vichy French authorities. 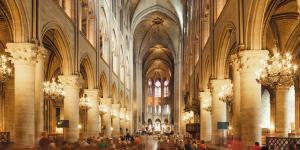 Though just steps away from Notre Dame, the memorial goes unnoticed by most visitors. Located on the site of a former morgue, the unique design takes you down a set of stairs to the stark monument. It's a powerful reminder of Paris' darkest era. 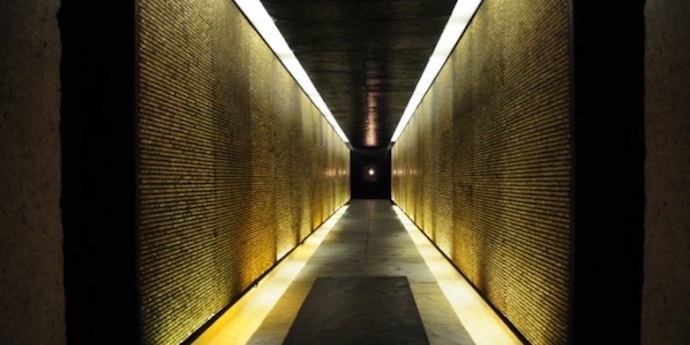 Architectural Digest has included Le Memorial Mémorial des Martyrs de la Déportation among its Ten Most Significant Memorial Buildings. 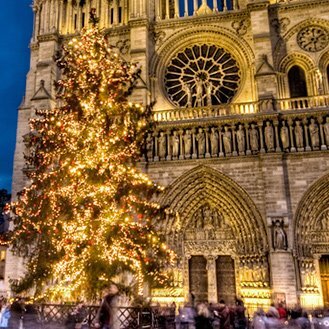 Notre Dame itself isn't really a secret, but here's one thing that we think too many visitors miss. Walk next the cathedral, along the Seine, to reach our next stop. Behind the cathedral is a secluded garden that offers a welcome resting spot from the long lines. 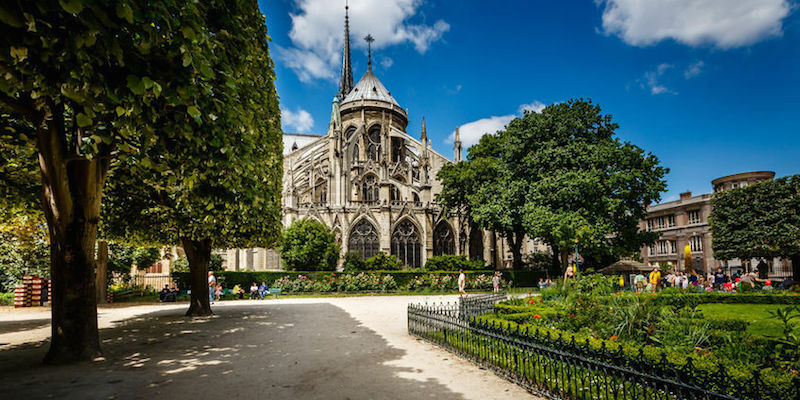 We'll stop here a few moments so you can relax and reflect under the cool shade of the trees and admire the flying buttresses from another angle. 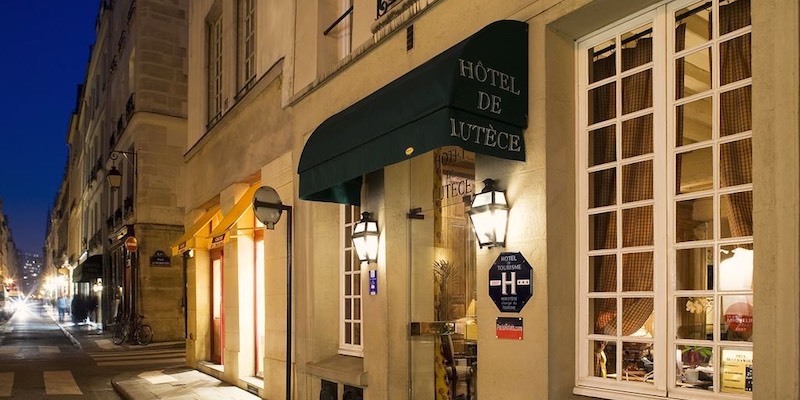 Now that we're at the other end of the Ile de la Cite, away from Pont Neuf, let's cross Le Pont St-Loius, the bridge to Ile St-Louis, where the first building you come across is home to one of the best old-time brasseries in Paris and our favorite spot for Sunday lunch. Lunch there is the perfect Paris experience, especially in the colder months. Expect comfort foods like frisée salad with a warm poached egg and bacon; rich, oily herring with yellow, waxy potatoes; wine served in carafes; and plenty of frites. 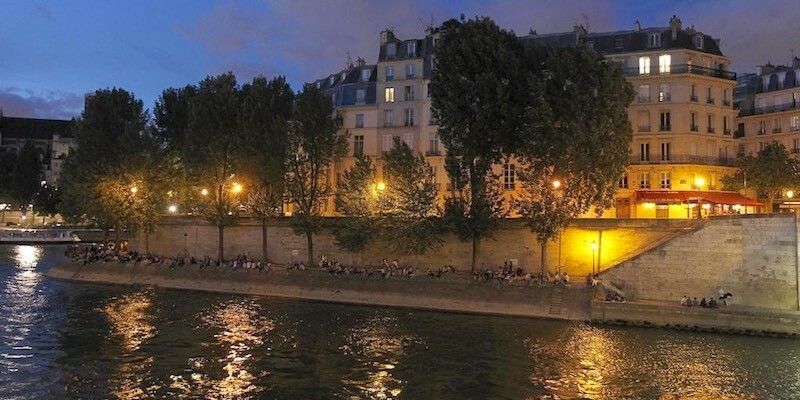 This is a prime example of classic Paris — the city of Hemingway and others before him. 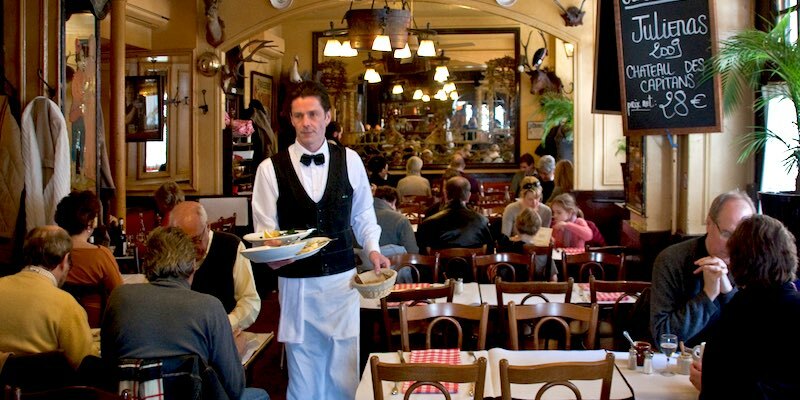 Mousse au chocolate; juicy, plump omelettes; and homemade cassoulet served by waiters who have been there for decades. Get it before it disappears. 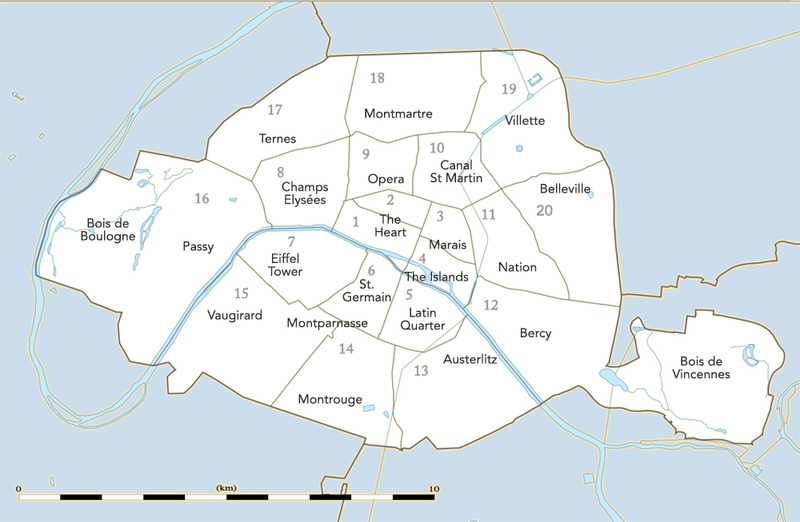 Ile Saint-Louis didn't exist until the 17th century. Before that time there were two smaller islands in this part of the Seine, one of them was used for grazing cattle and was called, appropriately, Ile aux Vaches. 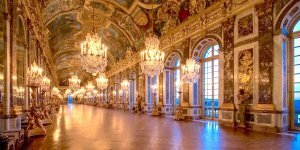 In the heady days of Henri IV and Louis XIII, a period that ran from 1589 to 1643, Paris underwent expansion and improvements. Swamps were drained, bridges spanned the Seine (Pont Neuf being a prime example), the Louvre palace was expanded, and Place des Vosges was built. It was the era of Cardinal Richelieu and, of course, the era when Ile Saint-Louis was created from the two islets. When we're looking for foie gras, the place we head to is Lafitte, on Ile Saint-Louis. 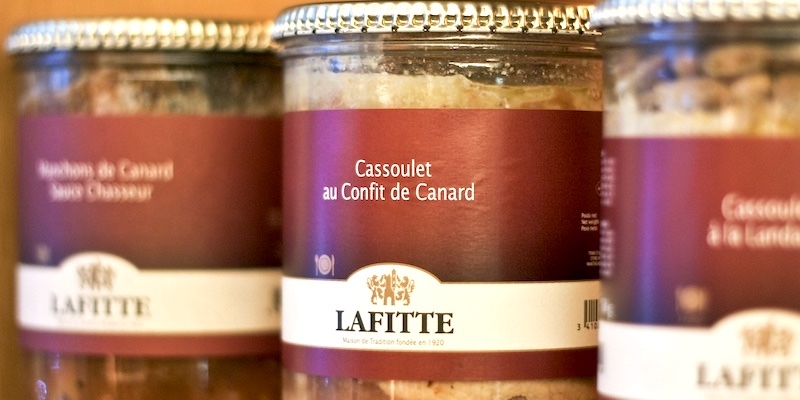 Founded in 1920, Lafitte specializes in poultry products from the Landes region of France, the home of the best foie gras, pates, confits and other gourmet foods from duck and geese. 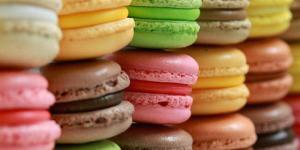 It's the best, most delicious source in Paris. 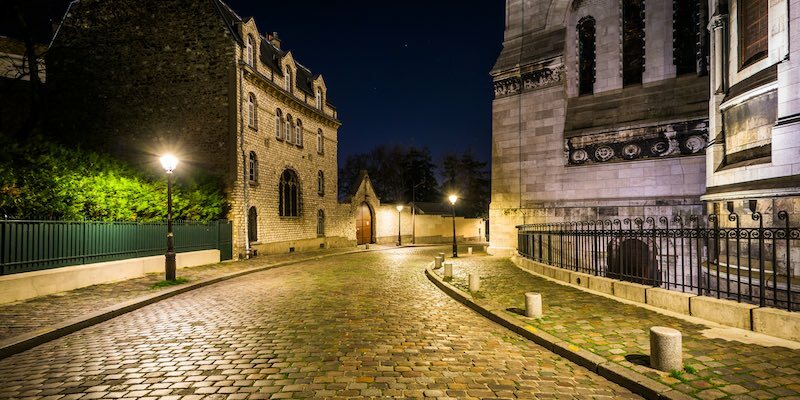 Ile Saint-Louis was named after the 13-century king of France (who was later sainted), as is this street that runs the length of the island. It's a small isle, with only this central rue and a few cross-streets. But Rue Saint-Louis en l'Ile is nicely packed with interesting shops. Berthillon Glacier is the place to go to get the best ice cream in Paris. Oliviers & Co specializes in olives and olive oils. La Ferme St Aubin is all about classic French cheeses and some of the best charcuterie in the city. Pylones is the famous shop that creates some of the funkiest and fun products to be found. Amarillo dishes out scoops of Italian ice cream. And, for all your food shopping needs, Les Délices de Saint-Louis has got to be the best "corner" store in Paris. 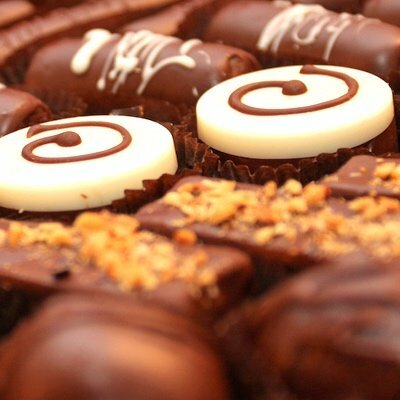 This energizing, fun cycling tour will take you to Notre Dame on Ile de la Cite, for ice cream at Berthillon, the famous ice cream shop on Ile St. Louis, and points in between. But that's not all. 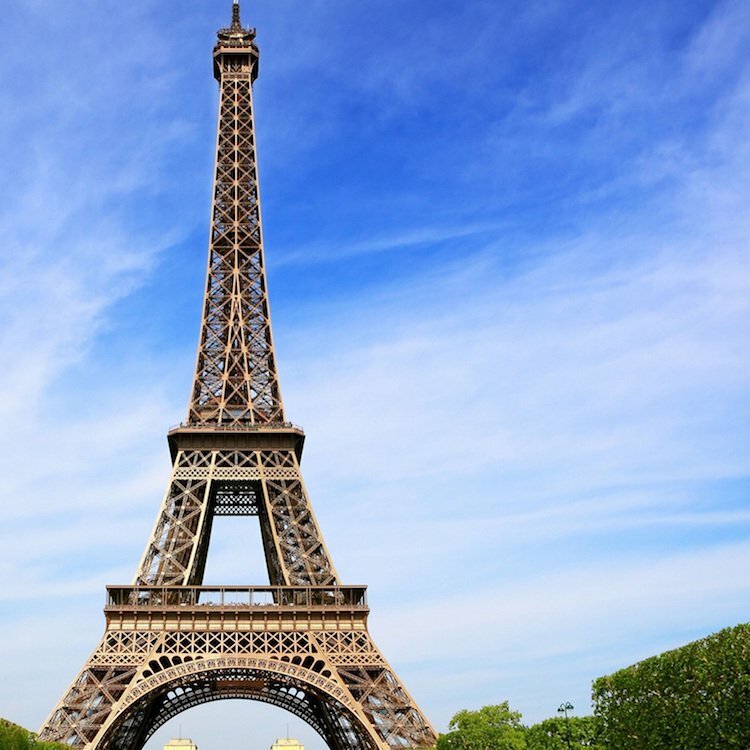 You also cycle over to the Eiffel Tower, past the Hotel de Ville, and down the narrow streets of Paris. Oh, one more thing. 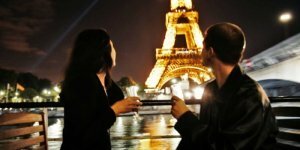 We almost forgot to mention that the activity also incudes a night Seine River boat cruise. Now that's a bargain. Ile St. Louis is small, but 4,500 people on it and there are also a lot of visitors. So, it's somewhat surprising to find a few really good hotels here. Like most of Paris, but perhaps even more so on Ile Saint-Louis, hotel rooms are compact. But what a location! This elegant hotel welcomes you with a open-beam library/lounge. You'll find outstanding service and beautifully-appointed rooms. 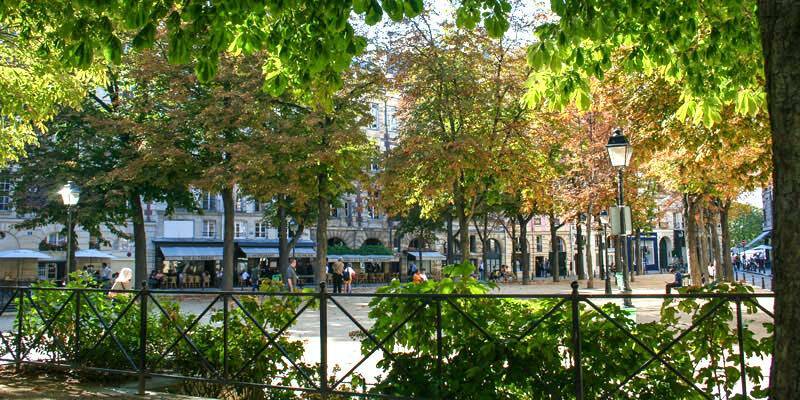 Enjoy a drink in the charming garden after exploring the sights of Paris. Location, location, location. A quiet retreat in an amazing spot. 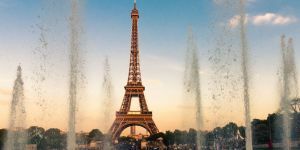 Just step out the door and you're in the hub of Paris restaurants, cafes and monuments. Each of the 17 rooms has been decorated with simplicity and elegance in mind. "Comfortable, low-key, welcoming," one guest opined, and we concur. 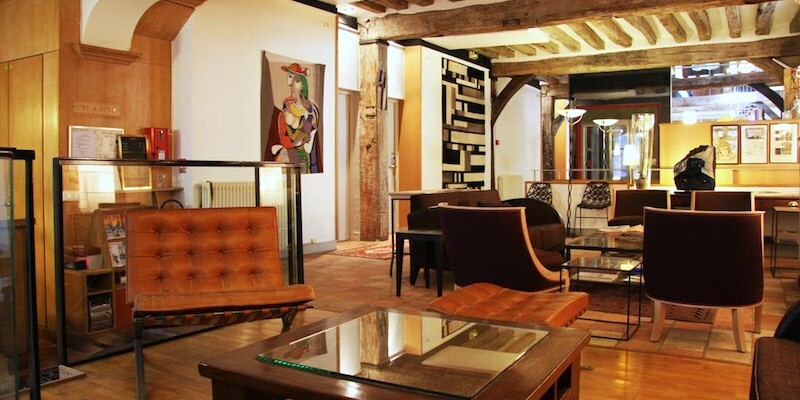 A beautiful 17th century building with original fireplace & wooden beams, and 23 tastefully-decorated rooms. 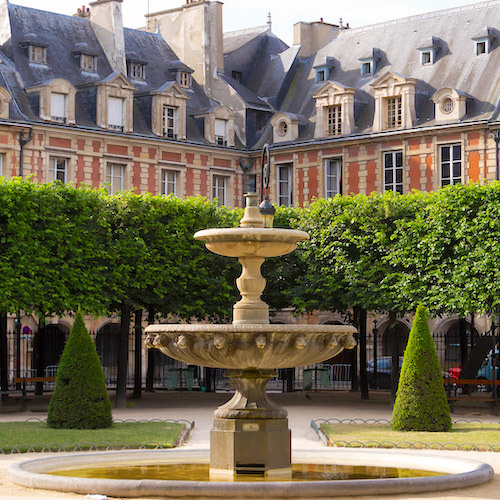 Being on the island you're close to everything — the Marais, Notre Dame, the Latin Quarter. 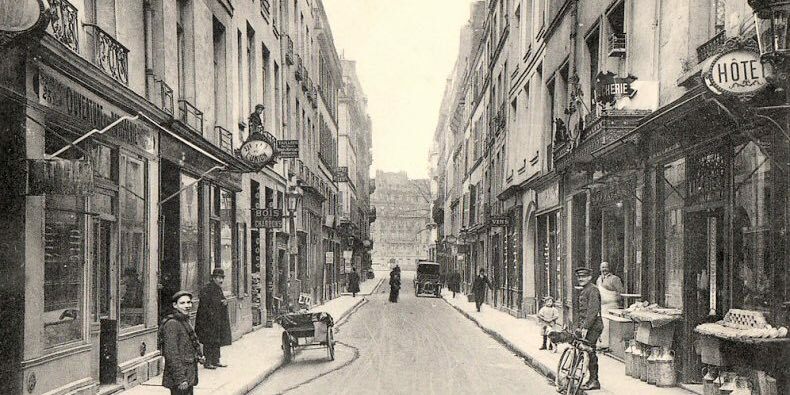 Rue Saint-Louis en l'Ile is also the name of a 2004 recording by the avant-garde French singer, Brigitte Fontaine. Apparently it's where she lived.